Obviously, this is going to be the focal point of your room. It is possible to find a variety of different car beds, so take some time to decide what exactly you are looking for — a racing car, a sports car, a truck, or maybe even a vintage car. There are plenty of stylish accessories that can make the picture complete. For example, there are wall mirrors that have a tyre frame. Or, there are stylish road signs that can be used as wall art. There are also creative shelves, and chairs, and stools, and plenty of other furniture units, featuring a car theme. A couple of thematic pictures on the wall, or some wall painting with cars or even their functional parts may be another excellent idea. Or, you could paint your wall to match the body of your car bed — the choice is yours. Another impressive suggestion would be to install a slide in your kid’s room. It is possible to find slides that look like highways, and this is going to be a fantastic addition to any boy’s room. Sure, the solution is only suitable for spacious car bedrooms. Finally, you should look for ways to get creative with the lighting. 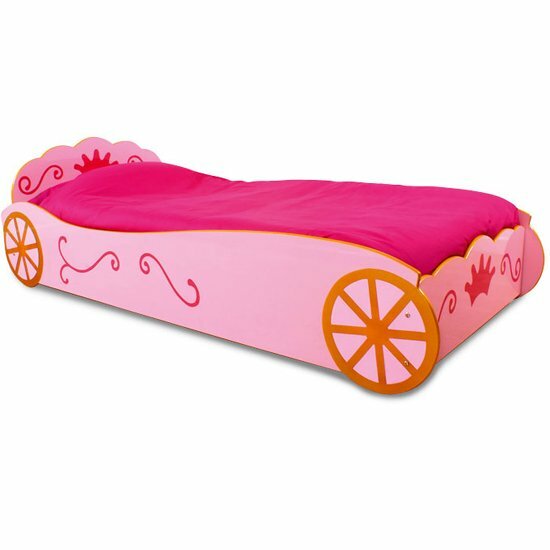 For example, you can go with a bed model that features interchangeable LED lights with remote control. Or, you could look for ceiling lights that feature thematic design — like SKF bearing, or some other auto spare parts. All of those, as well as different combinations of the above, will help you build a stylish and impressive car bedroom. And, if you are looking for a store that can offer you an interesting selection of furniture and accessories, start with the big platforms rather than with small ones. First of all, the selection will be quite impressive, so you will probably find all of the things you need in one place. And, next, big stores often have a more reasonable pricing policy than the small ones, which is also very important. In the UK, a nice example of a store you might find interesting is Furniture in Fashion. This huge e-commerce platform offers a very impressive product selection from the best local and international manufactures. At the same time, it strives to keep prices affordable, and delivery times — short. And, if you are not fond of buying any products unseen, you are always welcome to visit company showroom in Farnworth.